Two new MICs reported reference data to FIRDS in November – both of which were SIs. 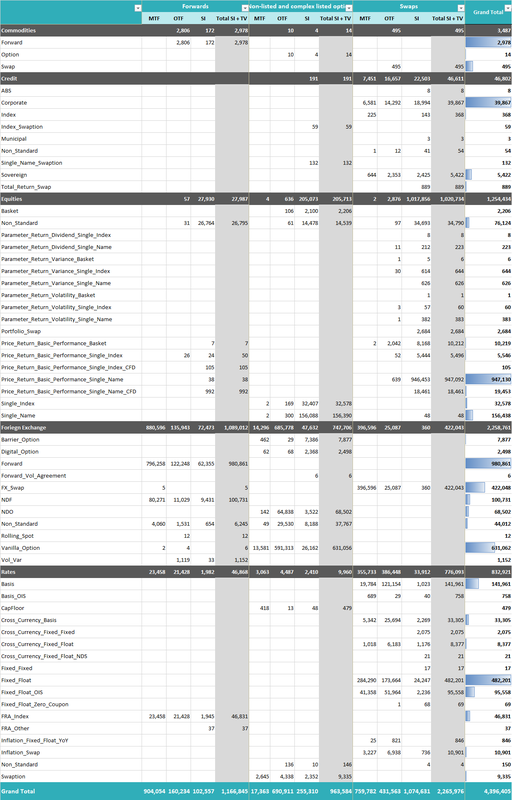 This takes the total number of reporting MICs to 85 – 32 MTFs who mostly report FX and Rates, 33 OTFs who have a broader asset class spread and 22 SIs who mostly report all but commodities’ reference data. 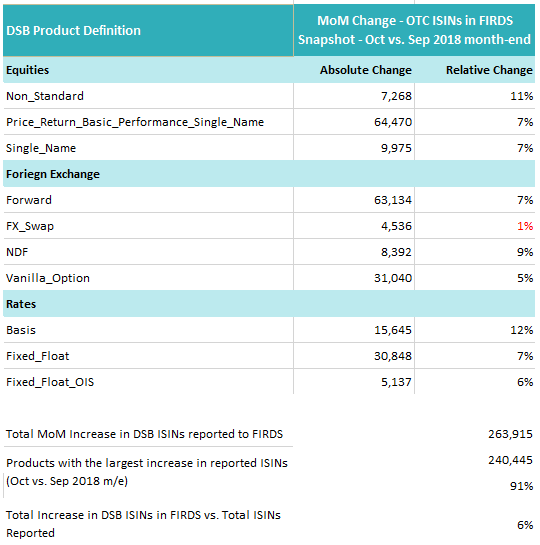 OTC ISIN reporting remained consistent with previous months – a snapshot of which is provided below. 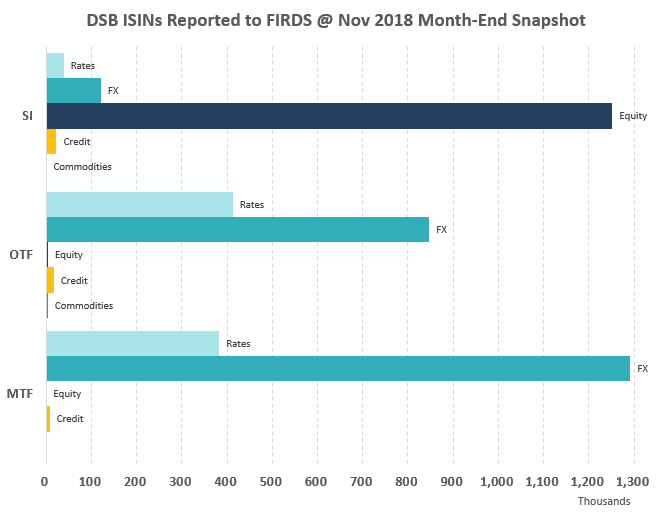 The list of MICs reporting to FIRDS was largely consistent, with two new SIs reporting to FIRDS in November 2018. The usual MIC level analysis is set out below.